On November 16, 2018, President Trump signed into law the Cybersecurity and Infrastructure Security Agency Act of 2018 which elevates the mission of the former National Protection and Programs Directorate (NPPD) within DHS, and establishes the Cybersecurity and Infrastructure Security Agency (CISA). CISA is responsible for protecting the Nation’s critical infrastructure from physical and cyber threats, and requires effective coordination and collaboration among a broad spectrum of government and private sector organizations. “The CISA Act elevates the cybersecurity mission within DHS and streamlines our operations to better secure the Nation’s critical infrastructure and cyber platforms,” according to Christopher Krebs, Director of Cybersecurity and Infrastructure Security Agency (CISA) in a statement. “CISA continues NPPD’s mission of leading the national effort to improve critical infrastructure security, coordinating the protection of the Federal Government’s networks and physical infrastructure, and helping entities in the public and private sectors manage risk,” continued Krebs. The Act transfers the Office of Biometrics Identity Management (OBIM) to DHS’s Management Directorate. Placement within the DHS Headquarters supports expanded collaboration and ensures OBIM’s capabilities are available across the DHS enterprise and the interagency. As the DHS police force, FPS is responsible for protecting Federal Facilities, their occupants, and visitors, ensuring a safe environment in which federal agencies can conduct their business. 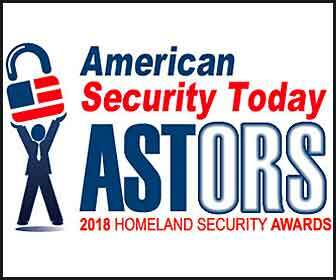 The Federal Protective Service (FPS), a 2018 ‘ASTORS’ Award Winner for Best Government Identification Management Solution, is the uniformed security police division of the United States Department of Homeland Security and is charged with protecting federal facilities, their occupants, and visitors by providing superior law enforcement and protective security services, and by leveraging the agency’s access to the intelligence and information resources of DHS’s network of federal, state, local, tribal, territorial, and private sector partners. Federal Protective Service (FPS) Operations include, but are not limited to Explosive Canine Detection Teams, Hazardous Response Teams, Mobile Command Vehicles, Operation Shield and Protective Investigation Teams. Federal Protective Service Explosive Detection Canine Teams include a highly trained detection dog and a law enforcement handler. These teams conduct searches for a variety of explosive materials near building exteriors, parking lots, office areas, vehicles, packages, and people in and around federal facilities. The Federal Protective Service responds to credible chemical, biological, radiological, nuclear and energetic materials (CBRNE) threats or incidents. The CBRNE Program provides support to incident investigations, threat assessments, emergency operations, and provides evacuation support, mutual aid, and training assistance. Federal Protective Service mobile command vehicles are deployed to enhance or reestablish communication and coordination during emergency incidents and special security events nationwide. These assets leverage satellite and internet access, as well as interoperable radios and video capabilities to enhance communication between FPS assets and other federal and local response and support assets. Operation Shield is an ongoing program created to increase the visual presence of law enforcement at FPS-protected facilities to deter terrorist or criminal activity. The Protective Investigations Program (PIP) prevents targeted violence against persons and facilities under the protection of FPS. Utilizing a behavior-based methodology, FPS special agents seek to identify not only those individuals who communicate threats, but also those that communicate in other inappropriate ways. These investigations are often lengthy in nature and focused more on mitigation of the threat as opposed to prosecution. Protective investigations require a unique set of investigative strategies that often times vary from other types of prosecutable offenses.